Which are the facilities for disabled persons? A parking for disabled persons is available at the second entrance (Avenue des Athlètes Athletenlaan) – backside of the King Baudouin stadium- Stadium Roi Baudouin) and Avenue du Football (Entrance 3). In The Village of Bruparck, you’ll find a special way for wheelchairs. These parkings are free of charge with the official parking card for disabled persons placed on the dashboard.You’ll find this way on the backside of the playground. You can use this way to reach Mini-Europe’s entrance more easily. Mini-Europe, Oceade and Kinepolis (rooms 8,9 and 13) welcome visitors with wheelchairs. How to pay in Bruparck? Main Bankcards are accepted in Mini-Europe, Oceade and Kinepolis. You will not find one money distributor next to the Police office and Exhibition Hall nr 2. You’ll find another money distributor at the entrance of the Metro Station Heysel or an ATM machine in the Atomium, next to the ticket counter. What kind of tickets can I buy to visit Bruparck ? The entrance of green zone is free of charge. From this green zone, you can visit one or several activities by paying the entrance fee. Combined tickets valid a full day are sold at the cashdesk of each activity. Do yous accept dogs in the park ? Dogs are only accepted in The green zone of Bruparck. 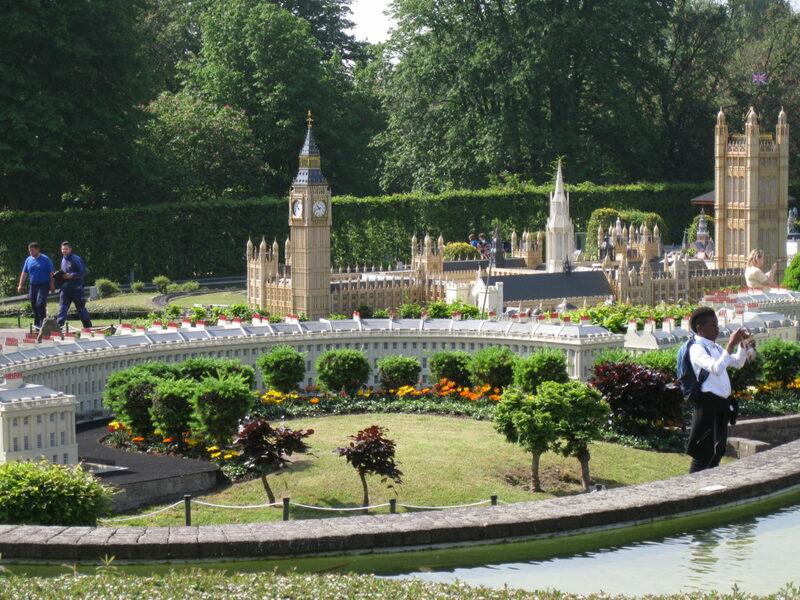 They are not accepted in Mini-Europe, Oceade and Kinepolis. Can I let my bags in a locker during my visit? No, there any lockers in Mini-Europe nor in the Bruparck but well in the Atomium, at the level at the ticket counter. We kindldy invite you to let big bags and suitcases in your hotel or in your car. Where can we find lost objects ? All found lost objects stay in Mini-Europe. Ask us by phone at nr 02/474.13.13) or by Email at info@minieurope.eu. Is the Parking for free? Mini-Europe doesn’t have its own parking. Parking in the streets around Bruparck/Mini-Europe will become paying from januari 2013, as in the other parts of Brussels. You can pay by using the parking meters which you will find in the along the streets. Another possibility is to use Parking ‘T’ of Brussels Expo, this parking is accessible by the Avenue Josephine Charlotte and is situated at less than 5 minutes walking distance of Mini-Europe. Cost price for this parking is +/-6€ for a whole day. When entering the parking by car just take a ticket, payment must be made before leaving at the terminal which is situated near the entrance of the Bruparck Pavilion (near the pedestrian bridge over the subway tracks).